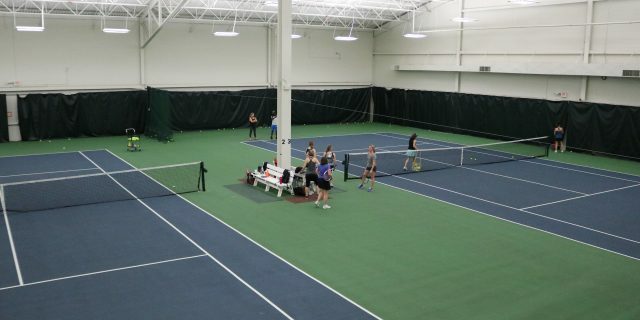 Two air-conditioned tennis courts are available for rental to the general public. Court time rental rates are the same for members/non-members and the same for residents/non-residents. Reservations (telephone or in person): Deerfield Park District residents may reserve court time up to seven days in advance. Non-residents may reserve courts 48 hours in advance. Payment for court time is made at the front reception desk at time of reservation. Courts may be obtained on a walk-on basis when available. A full refund will be given for cancellations more than 24 hours prior to scheduled court time. For cancellations within 24 hours of scheduled court time, no refund will be given. To cancel, please speak directly to a front desk staff member at 847-572-2600. Cancellations by voicemail, email, or faxes are not accepted.